Once a Club member always a Club member! 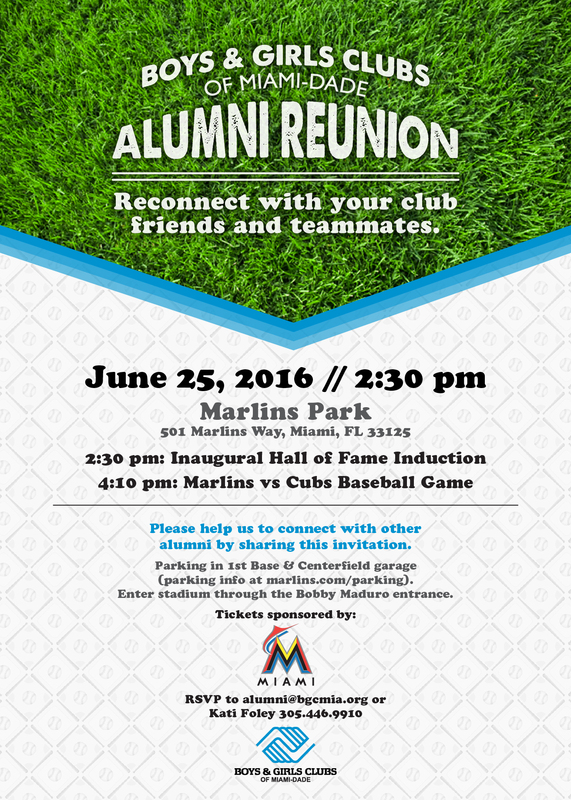 Come reconnect with old friends at our game day Alumni Reunion on June 25, 2016. 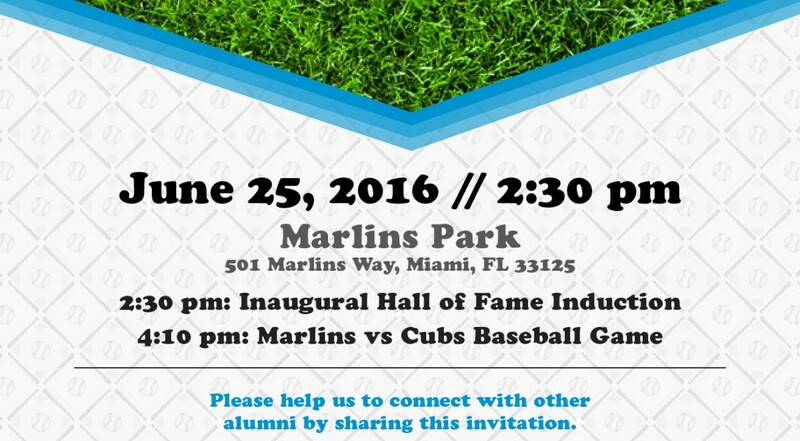 Share this invitation with other alumni and get ready to cheer on the Marlins!